New rubber for the engine fixture suitably with all MZ ETZ125, ETZ150, ETZ250, ETZ251, TS250 / 0, TS250 / 1 and ES250 / 2. 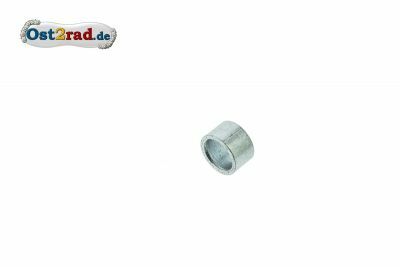 New carrier for the attenuation rubber to the engine suspension suitably with all MZ ETZ125, ETZ150, ETZ250 and ETZ251 from galvanised steel. 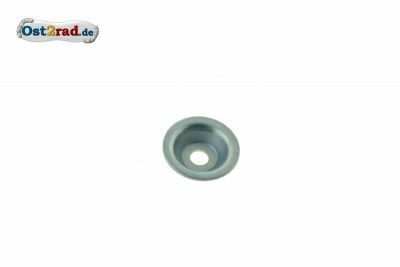 New distance ring for the engine fixture suitably with all MZ ETZ125, ETZ150, ETZ250, ETZ251, TS250/and TS250 / 1. 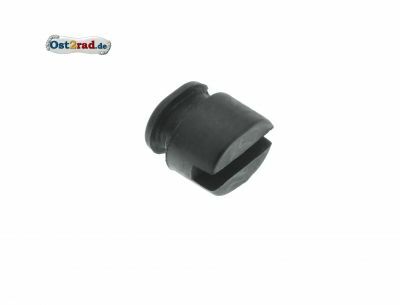 Suction rubber within the frame of for MZ of the models ETZ125, ETZ150, ETZ250, ETZ251, ETZ301. 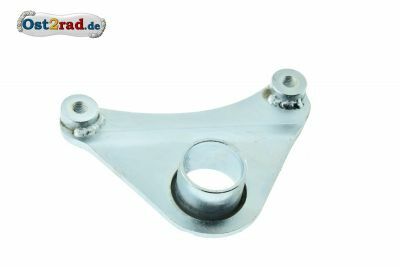 New ring 20x1.2 DIN 471 for the protection of the centre stand suitably for all MZ ETZ125 ETZ150 and ETZ251. 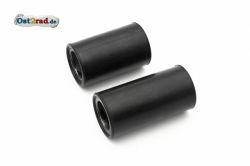 New limit stop rubber for the centre stand suitably for all MZ ETZ125, ETZ150, ETZ251, TS125, TS150. For following models: ETZ 125, ETZ 150, ETZ250, ETZ251, ETZ301, TS 250/1. 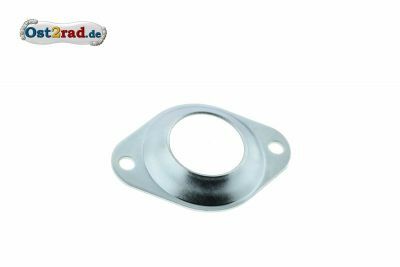 It is required to the suspension and attenuation (spring suspension) of the engine block. Galvanised spring for the page stands of the MZ models. 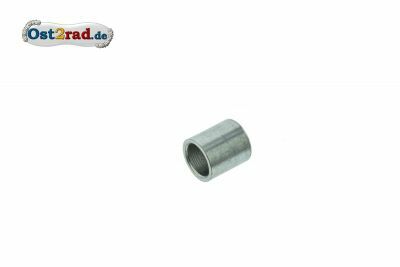 Whole length 100 mm, external diameters 14 mm. 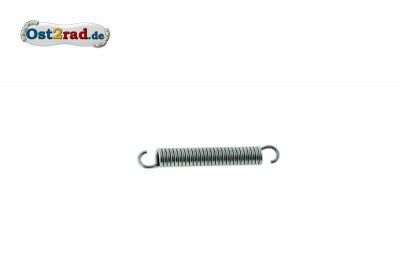 Galvanised spring for tilting stand for the models TS250 / 1 and all ETZ. New limit stop disk for the carrier for engine fixture suitably with all MZ ETZ125, ETZ150, ETZ250 and ETZ251.